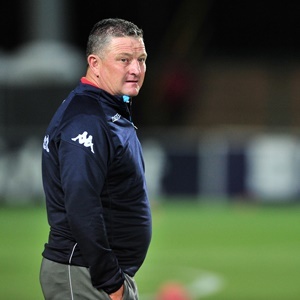 Cape Town - Bidvest Wits coach Gavin Hunt believes the newly-crowned TKO champions are still in with a shot at defending their Absa Premiership title. The Students have endured a nightmare start to their league campaign and sit bottom of the table with nine points from 11 matches. However, they are just 10 points adrift of pace-setters Baroka and Hunt has given the example of his side's Telkom Knockout (TKO) run to show how a few consecutive wins can dramatically change things. "I said to the players now, the four games we have won in the cup, if we had won four games in the league we would be top. That's how crazy the league is at the moment. "You would like to think [that Wits still have a league chance]," he said after Saturday evening's 1-0 win over Bloemfontein Celtic in the 2017 TKO final. "If you look at the league table this year the team at the top doesn't even have two points a game," he pointed out. The Clever Boys mentor feels that the greatest challenge to Wits' title defence could come from the two Pretoria clubs. "We are 10 points behind, with a game in hand. It's crazy. So I don't think anybody's going to get more than 60 points. "SuperSport United can, and Mamelodi Sundowns can, because they're both in good positions in the league, and they've got the squads. "The rest of us, we've got to try to catch up. I think it's important for us to try to take everything into consideration and take stock. "The team's got good togetherness and determination. And that's always the first thing that worries you when you're bottom of the league. Togetherness, want and will, and all those throwaway words. But, I mean, we're together, we're fine." Wits next welcome a struggling Ajax Cape Town to the Bidvest Wits Stadium in an Absa Premiership clash on Wednesday with a win taking his side up to a possible 12th position in the standings.